As two Chinese characters used in Korean, Zee (智) is commonly translated as ‘wisdom’, while Ann (眼) means eye. Together it symbolizes our mission to deliver undistorted image that truly reflects beauties one can see. ZeeAnn Co., Ltd developed Full HD(1920 x 1080p) CMOS image sensor for surveillance and automotive applications, embedded ISP(Image Signal Processor) in a sensor chip, which is the first SoC type Full HD image sensor. Since decades ago, the major markets for fast-developing CMOS Image Sensor is found in mobile devices such as smart phone. However, it failed to satisfy the growing non-mobile market (surveillance camera, vehicle black box, industrial camera, medical camera, robot, toys, biotechnology, etc.). It is a commercial condition that these products have difficulties finding proper CMOS image sensors. Focusing on non-mobile market, ZeeAnn Co., Ltd is committed to the improvement of clients’ application value and constant development of CMOS image sensor which maximizes customers’ profits. ZeeAnn based on Authority and Responsibility is to be a leader of the industry and a contributor of the society. 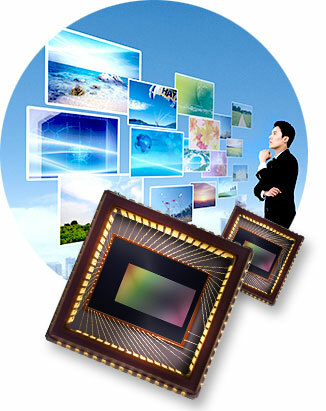 ZeeAnn will continue its effort to become a global leader in the image sensor industry. When drive from Seohanam IC, keep ahead for 15 meters after passing the signal light in front of Gwangam Filtration Plant, then turn left when saw another signal light.